Home automation has the power to change your life, allowing you to control electronic devices and systems in your home from practically anywhere, using a smartphone. This might sound like something from a science fiction movie, but this amazing technology is available right now from Brisbane Alarm Monitoring Security Systems (BAMSS) at a very reasonable price. Home automation turns regular homes into smart homes by installing a network of wires, linking electronics in every room to a central system. Using home automation software you can then turn things on and off from any room in your house, as well as anywhere outside your house, using a web-enabled device. At BAMSS, we have more than 35 years of experience providing security solutions and smart electronic management for countless houses and businesses. We are experts at integrating all of your electronic devices and systems, simplifying the operation of your home and allowing you to enjoy it more. The BAMSS home wiring network has the capability to send data as well as signals for phone, audio, video and TVs. We only use products that are built to last and affordable. In fact, we’re so confident in our products that we offer a 12-month warranty on all of them. With electronic automation you can realise your home’s full potential, and experience new levels of simplicity and control. 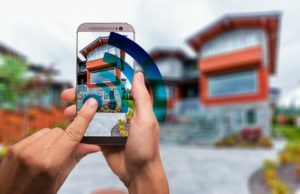 Home automation will add thousands of dollars of value to your home or business, making it more attractive if you ever decide to sell or rent it out. The beauty of home automation is that once you have a smart home, it will remain cutting-edge well into the future. The technology used in home automation is flexible enough to incorporate any future electronic purchases you might make and install in your home, as well as new technology that may be developed that doesn’t even exist right now. Smart homes are a dream to live in now, and are ready for the future. Find out more about home automation, including other solutions like CCTV, IP Surveillance. What makes it so versatile and affordable, how it can revolutionise your security and safety, and how it can save you time and money. Or, contact us to discuss your home automation needs.